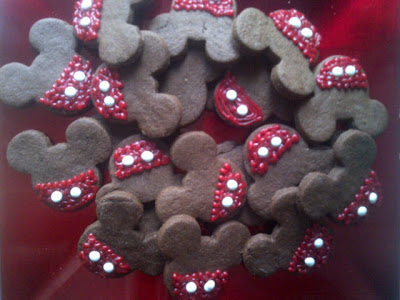 United Cakedom: Mickey Mouse Chocolate Sugar Cookies!! The littlest member of our little family has just turned 3! I knew I would do something Mickey Mouse, because she’s a fan. About a year ago I purchased an expensive set of cookies cutters, from the Disney Store, that had a Mickey outline, glove, and star. Basically I thought it about time I used them. As I was referring to the tried and tested sugar cookie recipe (from Sprinkle Bakes by Heather Baird) I took notice of the variation at the bottom. 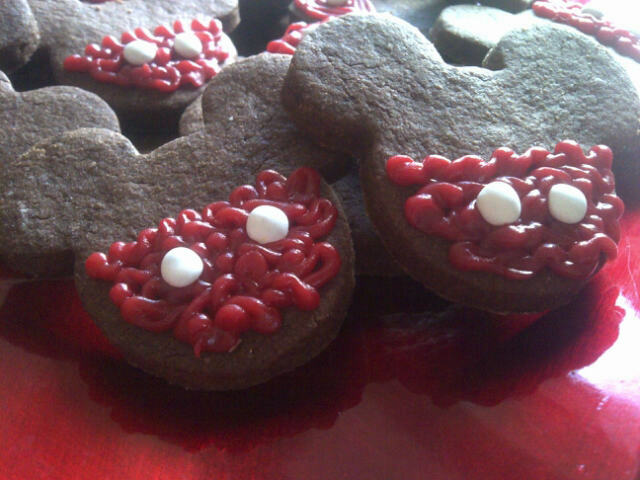 Chocolate Sugar Cookies! Then it occurred to me that if I used the chocolate variation I would only have to decorate the bottom half of the cookie. After this revelation I chucked the star and glove cutter! I love baking, but decorating isn’t something I have a lot of patience for. So, to further make my life easier I used a pre-made icing/gel in a tube. Red of course! 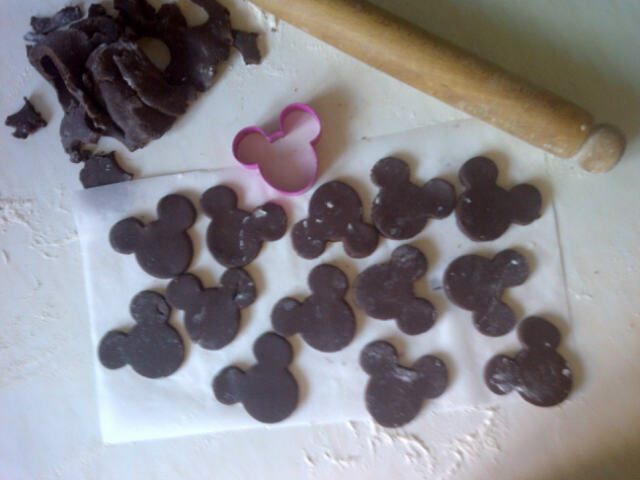 Then after icing Mickey’s shorts on I doted them with 2 white chocolate coated sprinkle things? Not sure what to call them? So, here they are! Enjoy!! Baby.... ahem... my Big Girl baker did!! notes: Heather Baird is the author of the blog and book titled Sprinkle Bakes the recipe I used can be found in her above mentioned book and there is a recipe on her blog, but it’s different then the one in the book. I bought my cookie cutters from a Disney Store. Last year Baby Baker had Blueberry Cupcakes! !